Growing up on a hobby farm in Ontario, I was very fortunate to have had many opportunities to interact with, and learn from, animals. From donkeys to dolphins to dogs, I have always had an interest in finding ways to help improve the lives of animals. I completed my B.Sc. 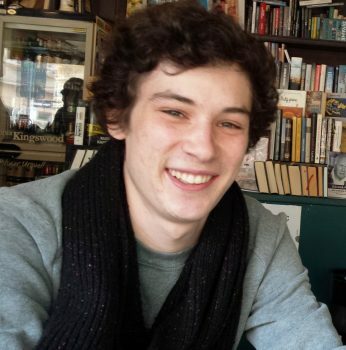 in honours Biology at Queen’s University in 2013. I have had opportunities to work in veterinary clinics, farms, animal shelters, a wildlife rehabilitation centre, and a marine mammal research facility. Recently, I piloted a successful project to increase land-based whale watching and cetacean data collection in British Columbia. Through my experiences, I have strengthened my resolve to contribute toward animal welfare research. In September 2017, I became an M.Sc. 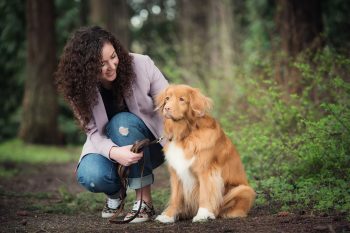 student in UBC’s Animal Welfare Program where I will be working with the BC SPCA conducting a project to help understand and improve companion animal welfare in shelter environments. Hamlet, my pet pig in high school, was my first introduction to this charismatic species. During my undergraduate degree in Applied Animal Biology at the University of British Columbia, I continued learning about pigs. I trained research pigs using positive reinforcements during a practicum and learnt about pig welfare as part of UBC’s Animal Welfare Assessment Team. Currently, around half of the world’s pigs live in China – as someone passionate about China and animals, I want to work on improving the welfare of pigs in China. My previous research experiences used qualitative research methods to understand people who work with animals. I’ve focused on dairy farmers and dairy calves, laboratory users and laboratory rats, as well as mahouts (elephant guardians) and elephants. I enjoy working with people to understand their perspectives in the hopes that this will improve the welfare of the animals they work with. 2019 is the Chinese year of the pig, and in this year I will start a research project at the Animal Welfare Program where I will explore Chinese pig producers’ perspectives on pig welfare. I graduated from UBC in 2013 with a BSc in General Science. After taking a few years off to work, I realized I wanted to go back to school and work with animals. In 2016, I took a variety of upper-level undergraduate classes offered by the Applied Animal Biology program to deepen my knowledge of animal welfare topics and learn about research. Afterwards, I worked as a research assistant for two PhD students in the Animal Welfare Program on a large multi-farm project in the Fraser Valley that focused on the health of dairy cows around calving. Part of my work for that project involved analyzing competitive events between dairy cows during feeding and that is when I became very interested in studying their social behaviour. 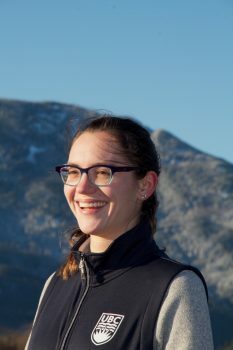 I started my MSc with the Animal Welfare Program in September of 2018. My work focuses on how heat stress affects dairy cow competitive behaviour at the drinker. In light of concerns regarding climate change and global warming, I believe studying the effect and implications of elevated ambient temperatures on dairy cow welfare is very important. I graduated from Dalhousie University in 2017 with a BSc in Biology. During my time at Dalhousie I worked as a technician in an animal research facility, which sparked my interest to learn more about improving the lives of laboratory animals. I joined the Animal Welfare Program as a research assistant in May of 2017 after receiving an NSERC undergraduate research award. Since then I have been involved in Lucia Amendola’s study on laboratory rat personality and how it relates to variation in responses to euthanasia agents. In January 2018, I began my MSc with the Animal Welfare Program. My research will focus on the effects of housing conditions on laboratory rats. I have liked working with animals since I was growing up. I completed a BSc in Animal Science from Kabul University in 2009. I then worked for the same department helping faculty with grading and leading laboratory work until 2012 when I received a scholarship to Purdue University. I completed an MSc from Purdue University in 2014 focusing on dairy nutrition. I went back to Afghanistan in 2015 and took on some teaching work for Kabul University and got involved in animal extension. I moved to Canada in 2017 and soon found the Animal Welfare Program. I started as volunteer with the program and shortly got involved in a big project carried by two PhD students in the Fraser Valley. The project focused on dairy cattle health around calving. 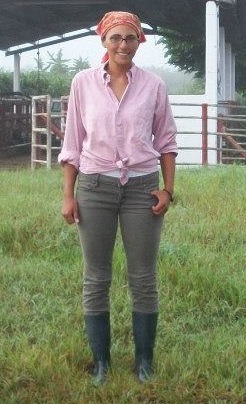 I helped with data collection and analyzing competitive behaviors of cattle during feeding time. This deeply interested me in further exploring cattle behavior, so I started an MSc with Animal Welfare Program in September 2018. 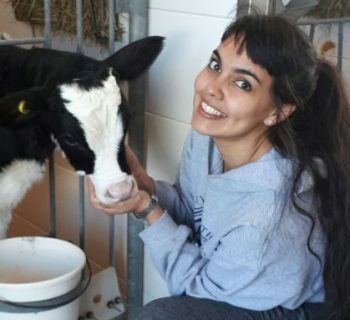 My work focuses on agonistic and feeding behaviors of dairy cattle during pre-calving period and their association with the prevalence of production diseases during the post-calving period. I received my B.A. 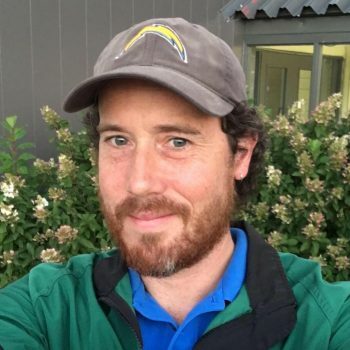 in neuroscience from Pomona College and from 2010-2012 worked as a research assistant in human cognitive neuroscience at the University of California, Santa Barbara (UCSB). While at UCSB, Buddhist teachings and my two pet rats turned me towards laboratory animal welfare. 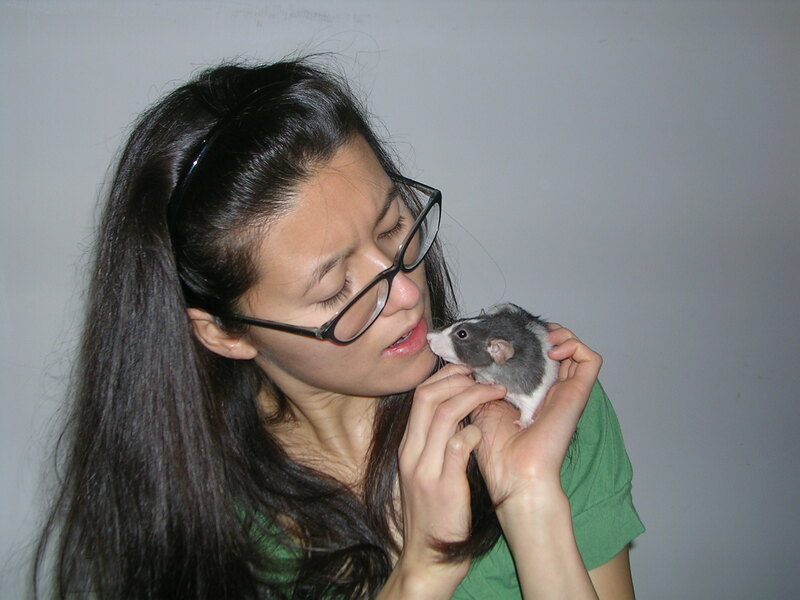 In 2012-2013 I enjoyed a visiting scholarship with the UBC Animal Welfare Program where I explored elements of social cognition in rats that were kept in complex environments, well-socialized to humans, and were trained to voluntarily participate in behavioural trials. After three years focusing on Tibetan Buddhist study and practice in Canada, the US, and India, I returned to the Animal Welfare Program to begin my M.Sc. in 2016. 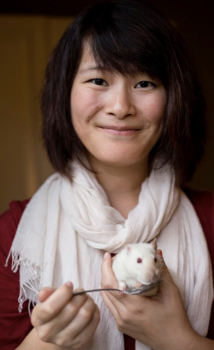 My research interests lie in improving the welfare of research and companion rats (and the humans who interact with them) with a focus on socialization and improving rat-human interactions. I am a member of the Rat Superstar Project at UBC. 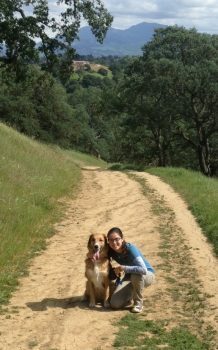 I grew up in the California Bay Area with a keen interest in animals and graduated from UC Davis with a B.S. in Animal Science in June 2018. While at UC Davis I became intrigued by the study of animal behaviour and joined multiple labs working with chickens, dogs, pigs, and even rhesus macaques. Ultimately, I fell in love with research focused on animal welfare and decided to do my Undergraduate Honors Thesis on boars’ preference for and behavioural responses to practical enrichment options. This furthered my interest in exploring how our management of animals interplays with their behaviour and welfare. I believe that working closely and collectively with all the stakeholders affected by animal production (animals, producers, and consumers) is imperative to improve overall welfare and the sustainability of production practices. 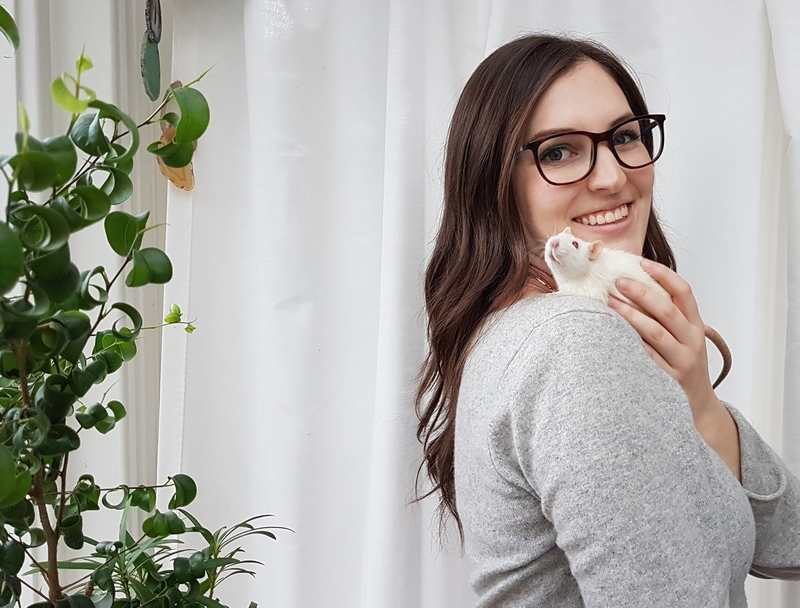 I joined the Animal Welfare Program as a MSc student in September 2018 and am excited to continue learning about animal welfare, ways to improve it, and the best ways to apply animal welfare research to current production practices. My research at UBC focuses on cow-calf management practices with an interest in improving the welfare of both cows and calves. I grew up in rural Saskatchewan where I developed a love of agriculture and animals. This lead me to the University of Saskatchewan where I began an animal science degree at the College of Agriculture and Bioresources. I then entered the Western College of Veterinary Medicine, graduating in 2015. While in university, I spent my summers working on research topics including rumen physiology, spinal cord injury, and bovine reproduction, and thoroughly enjoyed each experience. This prompted me to start my veterinary career in feedlot medicine where I could participate in research trials on antimicrobial resistance and sheep pathology. During my time in vet school and particularly as a feedlot veterinarian, I became interested in farm animal welfare and its role in the sustainability of animal agriculture. I joined the animal welfare program in September, 2017 as a Masters student to study dairy bull calf welfare. I have a B Sc. degree in general Biology, with a specialization in behavioural ecology. For my B Sc. degree, I did research on “the development of dominance relationships in the domestic kittens at weaning” under the supervision of Drs. Hugh Drummond and Robyn Hudson. My M Sc. in animal production and health was on “behavioural indicators of cattle welfare in Silvopastoral Systems” with Dr. Francisco Galindo. I started my PhD at the UBC Animal Welfare Program in September 2014. My main interest is the variability in behaviour and its relationship to animal welfare. My research is focused on individual variation of rats’ responses to CO 2. Growing up on a small family farm in Ontario began my fascination with animals. I received a B.Sc. in Zoology from the University of Guelph and a M.Sc. in Applied Ethology from the Ontario Veterinary College. I worked for 18 years as a laboratory animal science professional caring for the psychological and physical needs of research and teaching animals. I am a Registered Master Laboratory Animal Technician with the Canadian Association for Laboratory Animal Science and a Certified Manager of Animal Resources with the American Association for Laboratory Animal Science. I sit on the board of directors of the Canadian Association for Laboratory Animal Science, the Americas and Caribbean Regional Committee of the International Council for Laboratory Animal Science and was on the congress planning committee of the World Association for Emergency and Disaster Medicine. My current research focuses on how different levels of transparency influences the opinions and perceptions of various groups in society. I come from the Federal University of Santa Catarina (UFSC/Brazil) where I graduated in Agronomy in 2012. My background is in dairy cattle production and farming systems. Throughout my Master’s (2012-2014) I worked on cognition and emotional states of dairy calves under the supervision of MJ Hotzel and DM Weary in a partnership involving UFSC and UBC. In June of 2015 I started my PhD at AWP focusing on welfare of transition cows that have access to pasture. As we move forward public interest on animals’ natural living has increased and thus my interest on understanding how grazing systems may improve dairy cattle welfare. In 2016, I graduated from a French agronomy school (Bordeaux Sciences Agro) with a specialisation in animal production. During my education, I worked as an intern and research assistant on an organic market garden (France, 2013), an experimental sheep farm (Lincoln University, New Zealand, 2014) and UBC’s Dairy Education & Research Centre in which I took part in Becky Meagher’s study on cow’s motivation to participate in learning opportunities (2015). I joined the Animal Welfare Program in 2016 as a Masters student to study potential refinements of sedation procedures in calves. My current research investigates the negative experience caused by injections and the use of xylazine. Previously unacquainted with the species, I fell in love with cows during my veterinary studies. So after obtaining a Master of Science in Veterinary Medicine in 2002, I returned to my home province in the north of Sweden to work with them as a field practitioner. To continue my education in ruminants I moved south in 2006 to work as a Junior Lecturer in Ruminant Medicine at the Swedish University of Agricultural Sciences in Uppsala. There, I worked with a lot of common diseases in dairy calves. Because disease risk is greatly connected with the way we take care of calves, I became interested in looking into the potential causal connections between common management practices and animal health. I joined the Animal Welfare Program as a PhD student in January 2015. My research will focus on how different management practices influence how cows use their time to perform different behaviours and how these behavioural changes can affect their health. While earning my BA in Spanish and Environmental Studies at the University of Wisconsin-Madison in 2008, I became interested in sustainable agriculture and began working on farms that grew produce and also raised chickens, turkeys, and rabbits. I became specifically interested in farm animal welfare, and since then, have sought opportunities to learn more about animal welfare issues from other farms, and as a volunteer at the Humane Society and a feral cat rescue program. I joined the Peace Corps in 2009 as an extension agent and worked for three years in the West African country of Togo. I appreciated learning about local animal husbandry methods, and sharing what I had learned about animal welfare. I helped start a rabbit-raising project, and held frequent training events with youth and adults. This project encouraged collaboration throughout the community, and created a place to teach and discuss practical, inexpensive methods for improving the welfare of animals. I received my MSc in August 2017 and started my PhD in September 2017 with UBC’s Animal Welfare Program. 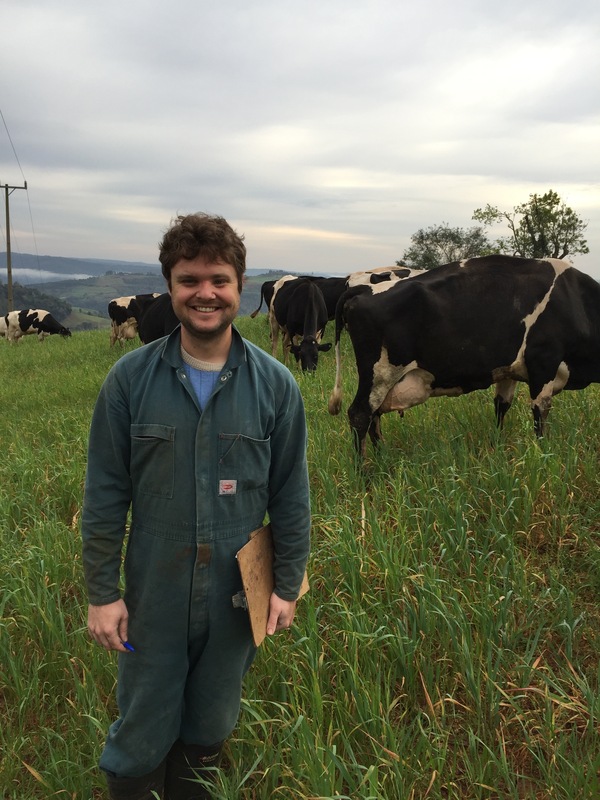 Focusing on the practical application of scientific research on dairy farms, I plan to collaborate with dairy producers to develop outcome-based welfare measurement tools for on-farm use. Hopefully these tools will be both effective and useful for producers, and lead to improved welfare for dairy cattle. I come from France where I studied animal biology and specialized in the study of animal behavior (Master’s degree at University Paris 13). I became fascinated by the study of the emotional life of animals. My first research experiences aimed at describing non-invasive methods to measure emotional states of laboratory mice. I first came to the Animal Welfare Program in January 2016 for a six month research internship. I soon realised a wanted to continue my graduate studies with the Program, and began my PhD in September 2016. My primary research focus is on the psychological welfare of dairy cattle. I’m currently leading studies on individual traits of dairy calves and cattle. I’m interested in understanding how these traits can affect the way individual animals cope with the farm environment. I graduated from UBC in 2015 with a BSc (Honours) in Applied Animal Biology. 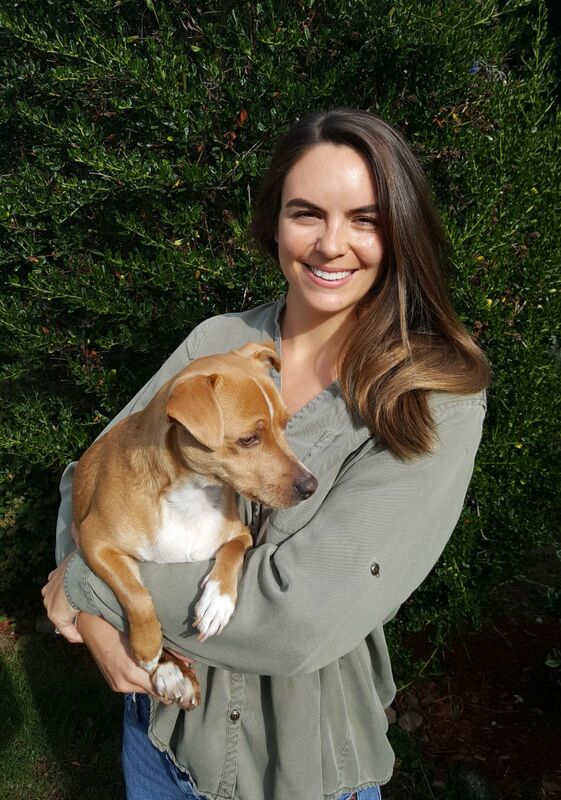 During my undergraduate degree I began to explore the field of animal welfare science and had my first introduction to research through the Animal Welfare Program in 2013. From there I had the opportunity to work on a variety of projects including my undergraduate thesis on public perceptions of medically unnecessary surgeries in companion animals. After graduating, I became a research assistant before starting my MSc in September 2016. I am interested in how the understanding of stakeholder attitudes can help to improve animal welfare; specifically, my research will focus on farmer attitudes towards management practices for cows during the transition period. 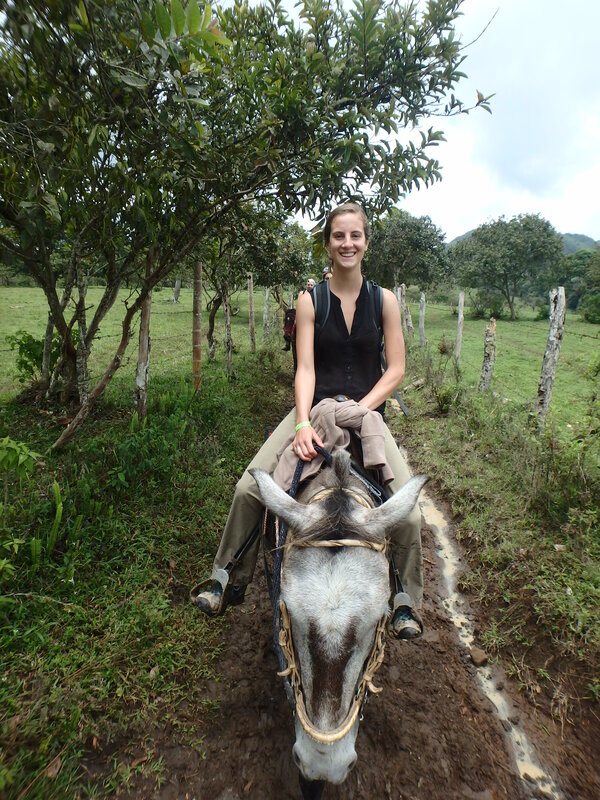 I’m a DVM with a MSc degree in sustainable livestock systems from the University of Antioquia, Colombia. Despite being born and raised in the city, I couldn’t stop thinking that there was something wrong in the way humans relate with animals and nature. My thoughts were confirmed when I started Vet School. Trying to be part of the “solution”, I decided to focus my further education and professional activities on topics related to environmental restoration and animal welfare; trying to find ways to reconcile current human activities, particularly those related to farm animal production, with nature. I became a researcher at one of most prestigious Colombian research centers in sustainable agriculture (CIPAV), known for their work in agroforestry, ecological restoration and nature conservancy. I was part of their sustainable livestock research team for 3 years. This gave me the financial support for my Masters research, which focused on the integrated management of ticks in tropical livestock systems. From 2013 to 2016, I taught courses in environmental sustainability and animal health, welfare and ethology, at the Vet School and the Animal Science Program at the University of Antioquia. My main focus was to encourage students to see beyond the indivudal animals and concern themselves with the influence of the environment on animal health and production performance. I started my PhD with UBC’s Animal Welfare Program in 2016, focusing on understanding the welfare implications of a limitated expression of grooming behavior in dairy cows. Overall, my main interest as an animal science researcher is to understand those relations that link and separate animals and humans, and work to find a balance between animal welfare and human welfare in animal farms. Ideally, this will help find ways to further dignify the lives of farmers’ and their animals. I first was introduced to the dairy industry during a co-op work placement with Agriculture Canada. 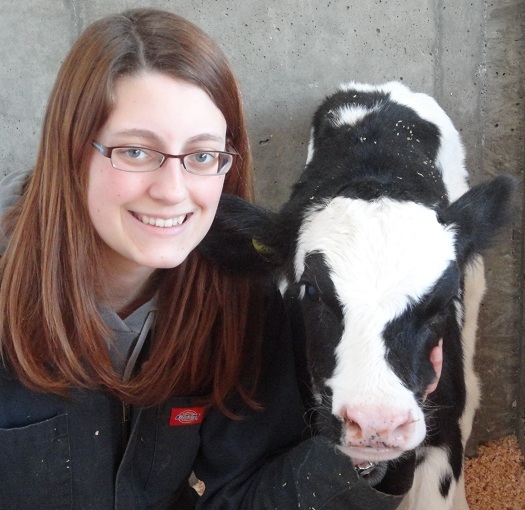 When my term came to an end, I knew I wanted to continue research with dairy calves and returned to the UBC Dairy Education and Research Centre with the Animal Welfare Program in Sept 2011 with an NSERC research grant. During my MSc, I developed a cognitive bias method of assessing emotional states in dairy calves, studying how the pain from dehorning affects their cognitive processes. I began my PhD in 2014 with a focus on personality in dairy calves and the relationship with feeding behavior, coping styles and long-term consistency into first lactation. I also aim to relate sickness behavior and susceptibility to disease during the transition period with personality traits. Additional research interests include promoting positive experiences by providing enrichment opportunities for dairy calves and goats. 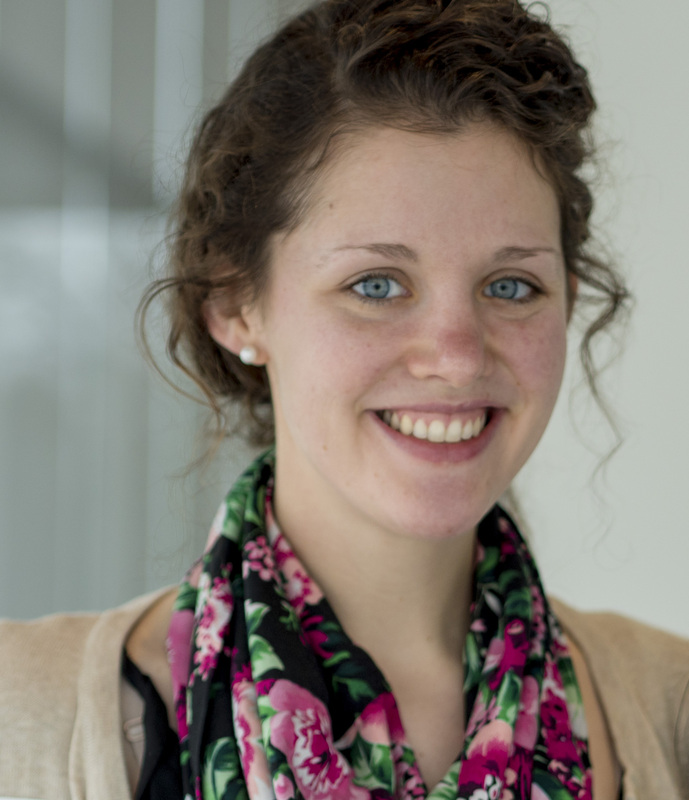 I am a PhD student in the Animal Welfare Program from the Netherlands. My interest in animal welfare started at an early age. As a child, I was always questioning myself what the perfect life of my little rabbit Bennie would look like. From there, I started to wonder what was important for other animals to live a good life. Eager to learn more, I joined Wageningen University in the Netherlands, where I completed both a Bachelors (2013) and a Masters (2015). During my studies at Wageningen I was also able to complete a minor in Animal Welfare through a joint program offered with the University of Agricultural Sciences in Sweden. 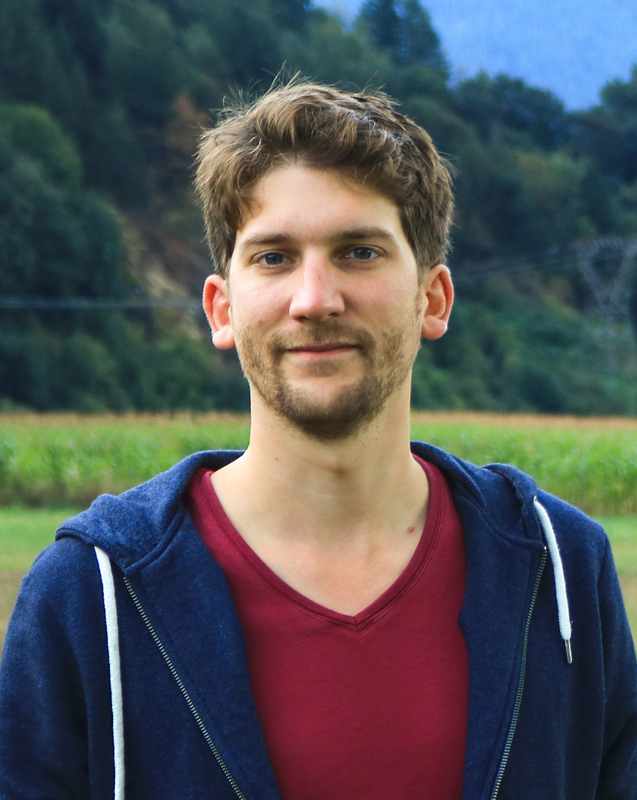 During my Masters I completed two research projects: the first on the effects of housing changes on the affective states of pigs and the second on the effects of regrouping on dairy cattle behaviour. This second project provided me the opportunity to visit the UBC Animal Welfare Program as a visiting scholar and to undertake research at the UBC Dairy Education and Research Centre. These experiences set the stage for my Ph.D. which will focus on dairy cattle welfare! I obtained my veterinary degree from the Faculty of Veterinary Medicine, Ss. Cyril and Methodius University in Skopje, Macedonia. During the next 8 years, I worked as a veterinary practitioner and animal disease control expert, primarily focused on disease prevention, surgery, reproduction, and herd health management of dairy cattle. Before moving to Canada I learned about the research conducted at UBC’s Animal Welfare program and recognized it as an excellent opportunity to expand my knowledge and contribute to cattle welfare. My M.Sc. research at UBC focused on assessing visceral pain in dairy cattle diagnosed with an infection of the uterus (metritis), which occurs in 10-30% of the cows after parturition. After my M.Sc. I worked closely with dairy veterinarians and producers in the Fraser Valley regarding alternative (flotation) treatment for downer cows. Through this collaboration, I was able to visualize major problems in the dairy industry such as the lack of management protocols for vulnerable cows and management practices for cows intended for culling. The lack of research in this area motivated me to start a PhD directed towards improving the welfare of cull dairy cows, and contribute to improving this immense problem that often brings public criticism of the dairy industry. 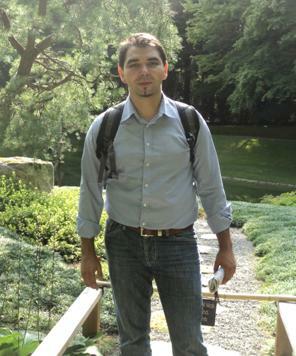 While earning my BSc (2015) at The Ohio State University, I focused on animal sciences, but also diversified by minoring in a variety of disciplines. I was most intrigued by the growing field of animal welfare; contributing to several projects examining swine welfare (behaviour, piglet care, and lameness). I joined the Animal Welfare Program (AWP) in 2015, completing my MSc in 2017, looking at social housing for dairy calves. I began my PhD with AWP in September 2017, continuing my research in the field of dairy calf welfare.